​After more than two decades as a full-time writer for daily newspapers, Janice became a freelance writer. She spent eighteen months writing and researching her first book, Submerged: Ryan Widmer, his drowned bride and the justice system. As a writer for The Cincinnati Enquirer, Janice covered every aspect of the Widmer bathtub-drowning case through three spellbinding trials. Unanswered questions compelled her to write Submerged in time for the tenth anniversary of the case in August 2018. For those of you who love listening to podcasts, you can get the “inside scoop” on everything that led me to write my book, SUBMERGED, in a new podcast episode. I think you’ll really enjoy it, for several reasons. Interestingly, the host, Ron Adams, is also a book author. In fact, Ron and I met via Peter Bronson, my former Cincinnati Enquirer colleague who edited and published my book. He also helped Ron “give birth” to his book. After I told Peter that I was interested in podcasting, but knew nothing about podcasts, he thought it would be great for me to meet Ron. Over coffee at a Starbucks, Ron and I immediately hit it off. The repartee between us shines through during this podcast. I cannot say enough good things about this man. He truly loves helping people. And he is constantly striving to improve himself. He’s a deep thinker. But he’s also a go-getter. 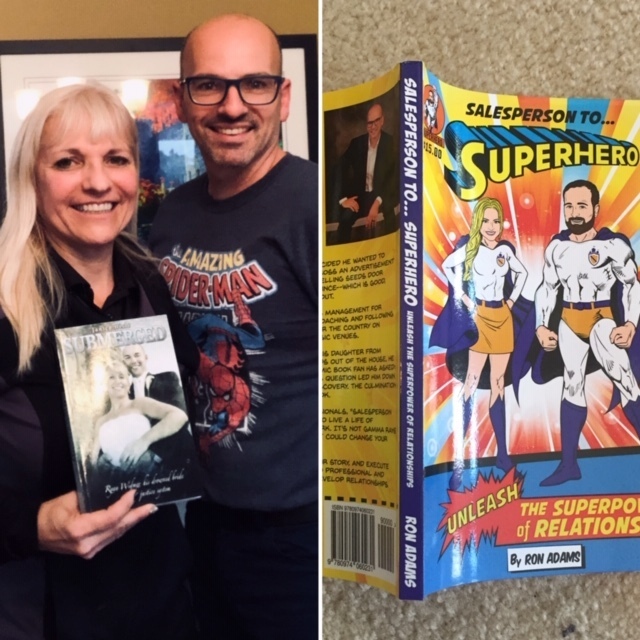 Not only was Ron kind enough to invite me as a guest on his podcast, but also he handed me a copy of his book, Salesperson to Superhero: Unleash the Superpower of Relationships. I just started reading his book. And am loving it! I would encourage you to pick up a copy. Why? Because this book will teach you to foster better relationships in your business–and maybe even in your personal life. Ron’s observations challenge the reader to think differently about the impact you can have on other people–and about how we can all help each other. Ron has his own real estate firm, Bastion Realtors, in Loveland. Copyright text 2018 by Janice Hisle.